Guests at spit roasts parties, events and weddings in and around Sheffield are always impressed as we carve and serve them straight from the spit letting them get close to it seeing and smelling all the delicious meats, then after seconds our team collect in our rubbish from guests leaving no mess behind that gives our Sheffield clients total peace of mind that everything is attended to. Spit roasted Yorkshire Beef served in freshly baked buns. 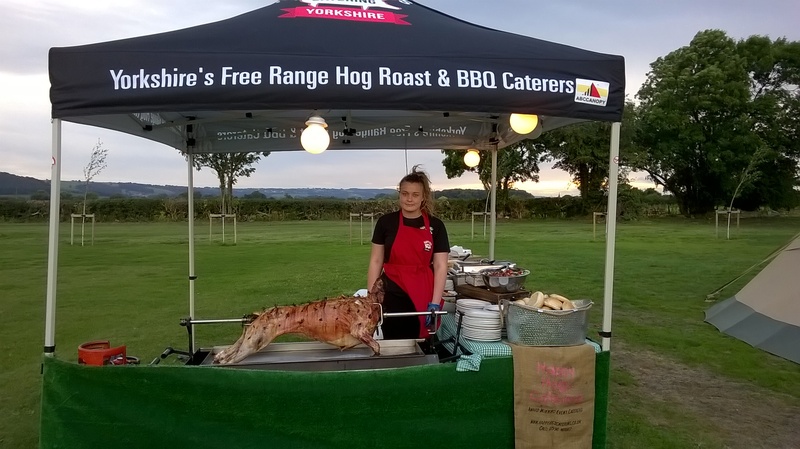 Spit roast Yorkshire lamb studded with rosemary & garlic, basted in its own juices and served in large freshly baked buns. 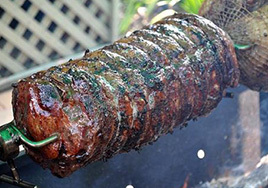 Spit roast Yorkshire lamb with rosemary, basted with lemon & olive oil and served in freshly baked buns. Our Spit Roast packages include a fully uniformed chef and assistant to cook & carve for your guests at the agreed serving time, a 3×3 meter catering gazebo, serving tables with table linen, bread basket, disposable plates & paper napkins.